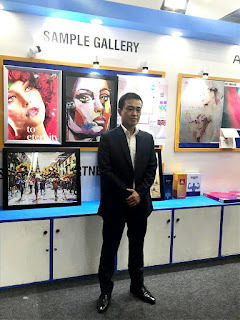 Konica Minolta Business Solutions, a domain leader in advanced imaging and networking technologies, has announced its participation at the Printpack India 2019. Konica Minolta is showcasing its wide range of best-in-class offerings and cutting-edge technological innovations at the international industry event scheduled at the India Expo Centre in Greater Noida between February 1 and February 6, 2019. 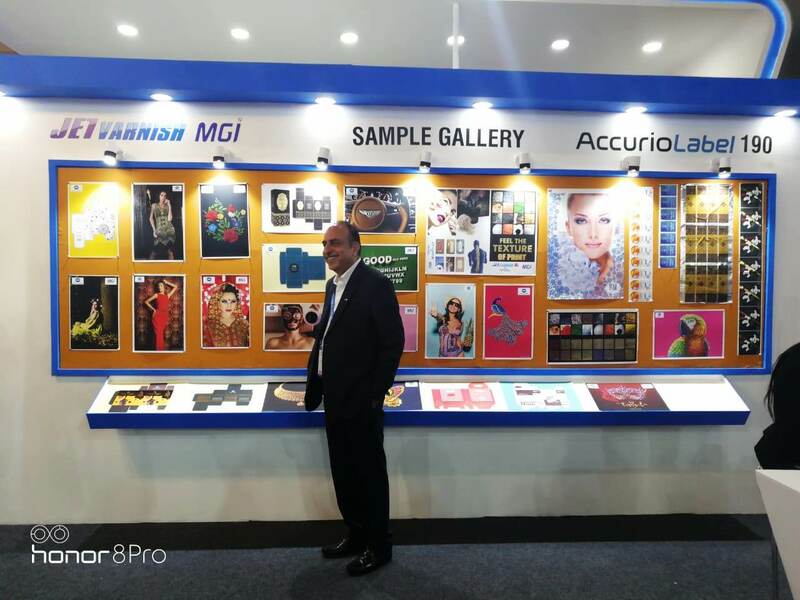 Konica Minolta is demonstrating its entire product line in colour & mono digital production printing, including the AccurioPress C6100, the AccurioPress C3080/3070, and the AccurioPress C83hc & Monochrome machine Accurio Pro 1100. Combining high-speed colour print production with integrated finishing capabilities, the machines are designed to enable superlative print quality with high consistency and unmatched speed. The C6100 can deliver a maximum print output of 100ppm (colour and B&W), while the C3080/C3070 has a top print speed of 81 ppm (B&W) and 71ppm (colour). Both AccurioPress C6100 and AccurioPress C3070/3080 are capable of handling a wide range of media, of varying thickness and length, and deliver unmatched print productivity, versatility, and usability. With the IQ-501 – an intelligent quality optimiser capable of real-time monitoring and adjustment of colour and front-to-back registration – available as an optional feature, the machines minimise manual intervention for high-speed, high accuracy, and high-quality print operations. 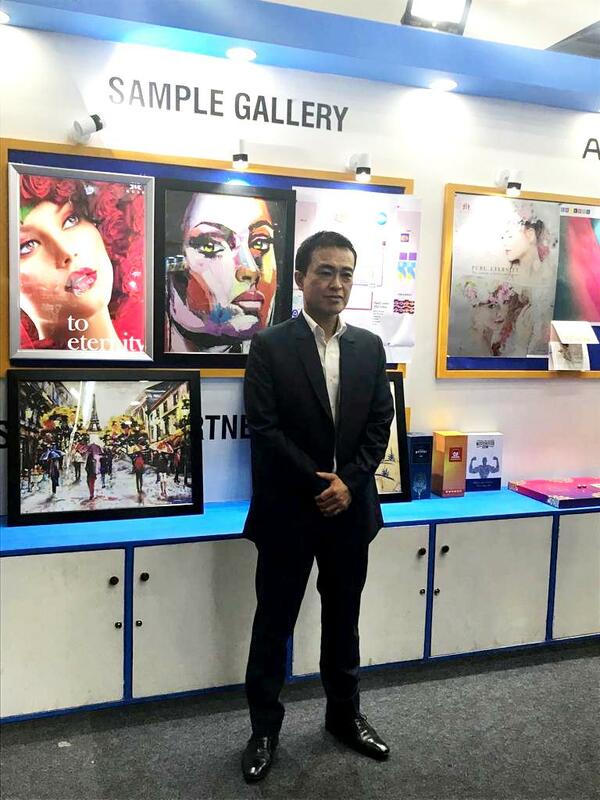 The AccurioPress C83hc, is a unique digital printing solution for the photo industry. Using the fourth generation of Konica Minolta’s High Chroma toner, the machine enables printing businesses to customise and complete print jobs in either sRGB or CMYK format through its selectable print mode. This allows for vivid and accurate image replication on paper, with accurate reproduction of skin tones and pantone colours enabling life-like quality prints on-demand. Konica Minolta also demonstrated Accurio PRO 1100, a black & white production printer capable of delivering print speeds of up to 100ppm (on A4) and 55ppm (on A3). The machine’s outstanding productivity is complemented by the high print quality enabled by its LED print head, which is capable of producing prints with a resolution of 1,200 X 1,2000 dpi. Armed with intelligent paper catalogue, mixplex/mixmedia functionality, modular paper feeding, and versatile finishing options, the Accurio PRO 1100 is the ideal entry product to digital black & white printing. Konica Minolta is also conducting a demonstration of the MGI JETvarnish 3DS with i-FOIL for digital and commercial print and printing businesses looking to scale up their print operations, enhance productivity, and maximise profitability by catering to new-age print jobs. An innovative digital spot UV coating & foil solution which utilises MGI’s patented inkjet and hot foil stamping technology, MGI JETvarnish 3DS can provide digital spot UV coating in plain 2D and 3D (with thickness of up to 200 microns) and embossed foil textured effects in one pass. The MGI machine is capable of 100% data variable spot UV coating and can add value to prints with varnish and i-FOIL, thus creating visually-stunning, custom spot varnished prints with unique graphics, text, and numeric data. It additionally comes equipped with an artificial image scanner to help register the print for spot UV and digital foil automatically. 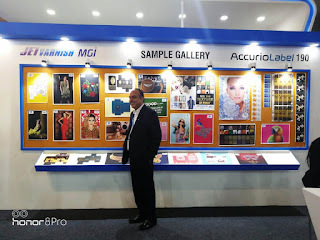 As part of its latest showcase, Konica Minolta is hosting a demonstration for B2 print samples made on the AccurioJet KM-1. Coming equipped with Konica Minolta’s proprietary cutting-edge inkjet print head, UV ink, and half-tone processing capabilities, the state-of-the-art UV inkjet Press can deliver a wider and deeper colour gamut and outstanding colour stability along with superlative productivity.